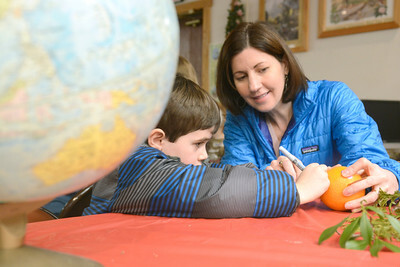 Patrick Mulher, 6, left, draws an equator line on an orange with help from his mother Mary Beth O'Hara, Lewisburg, at a program for the winter solstice on Tuesday at R.B. 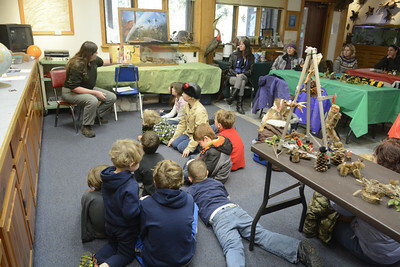 Winter State Park. 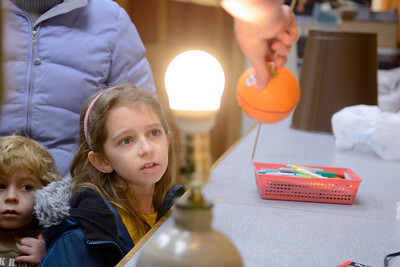 Kylee McCollum, 9, Turbotville, watches a make shift planet orbit around a light to demonstrate the earth's orbit around the sun during a program on the winter solstace at R.B. 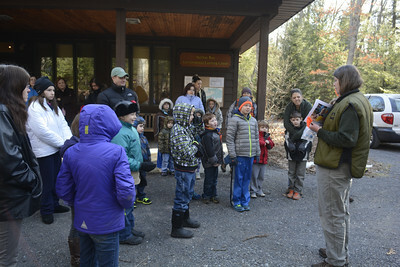 Winter State Park on Tuesday. 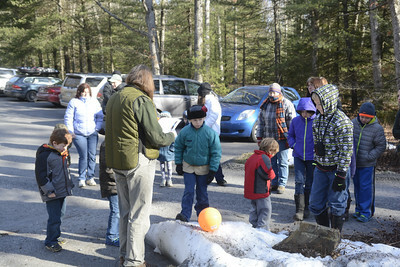 Families measure off distances between planets and the sun during a program on the winter solstace at R.B. 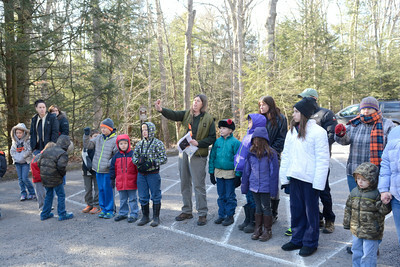 Winter State Park on Tuesday. R.B. 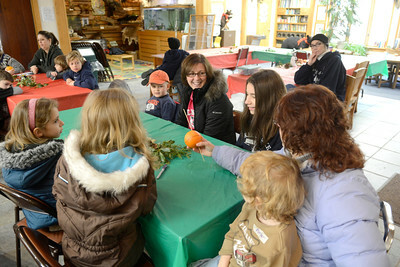 Winter Park naturalist Mary Ann Bierly, right, talks to a group of kids about the winter solstice during a program on Tuesday morning. 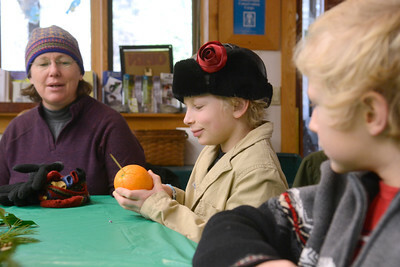 Shana Tritsch, left, Millheim, watches her son Gus, 11, pierce an orange with a skewer, next to his brother Huck,8, as they turned it into a planet that could rotate as part of a program on the winter solstice at R.B. Winter State Park on Tuesday morning. 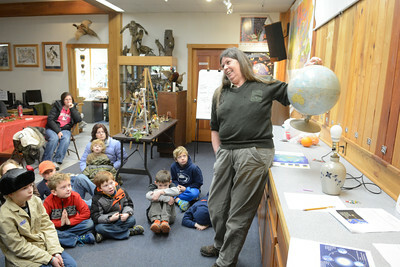 Families learn about the winter solstice during a program at R.B. Winter State Park on Tuesday.